Tony brings many years of experience, knowledge and trustworthiness to the table, with a background in residential as well as complex commercial transactions. 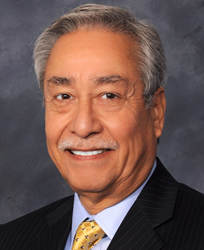 North American Title Co.’s (NATC) San Antonio branch has hired Tony Chavez as an escrow officer. Chavez has more than 35 years’ experience closing real estate transactions in San Antonio, with specific expertise in commercial transactions. Chavez most recently worked for a Texas-wide title company, closing both residential and commercial transactions. He previously served as vice president, commercial division manager for a national title company’s San Antonio office, as well as for other statewide and national title companies as an escrow officer. Located at the North American Title office at 12500 San Pedro, Suite 405, San Antonio, TX 78216, Chavez may be reached at telephone number (210) 494-0092.